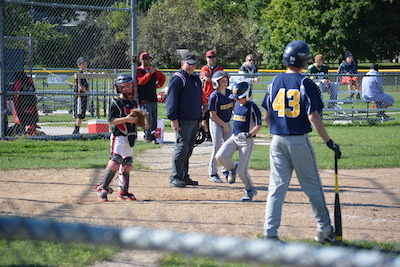 Originally established in 1963, Whitnall Youth Baseball and Fastpitch Softball has been serving children in the Whitnall area and surrounding communities for over 50 years. We are a 501c3 non-profit organization that supports more than 400 players and their families from Hales Corners, Greenfield, Greendale, Franklin, Oak Creek, New Berlin, West Allis, Milwaukee and other areas. Our programs support girls and boys from the ages of 4 thru 16 years of age, and we are 100% volunteer run, including the board of directors, coaching staff, and hundreds of other volunteers that contribute to the success of our program. Our mission is to teach children the fundamentals of baseball and softball and give them the life skills of sportsmanship, perseverance, and teamwork. Your sponsorship and any additional donations will help us keep our facilities and safety equipment in top condition, so we can continue to provide a great experience for our players and families. As a sponsor, you will receive valuable exposure throughout the season both at our park and on our website. Signage at our park receives more than 24,000 annual views during the regular season. We also host five tournaments each year that includes more than 120 teams from throughout southeastern Wisconsin, resulting in 6,000 annual views of tournament banners. Sponsors also receive prominent placement on our website, which hosts 1,000 members and receives 2,500 weekly visitors. If becoming a sponsor of Whitnall Youth Baseball & Fastpitch Softball interests you or your company, please take some time to review the sponsorship information below. In addition, we can also discuss creating custom packages for businesses that want to combine sponsorship with donated items or services, and tailor fit that package to your marketing and philanthropic goals. NEW THIS YEAR: ½ off fundraising for any family who secures a sponsor at this level by April 1st. - Team sponsorship, your company’s name printed on a team jersey. NEW THIS YEAR: No fundraising for any family who secures a sponsor at this level by April 1st. Custom sponsorship options are also available.